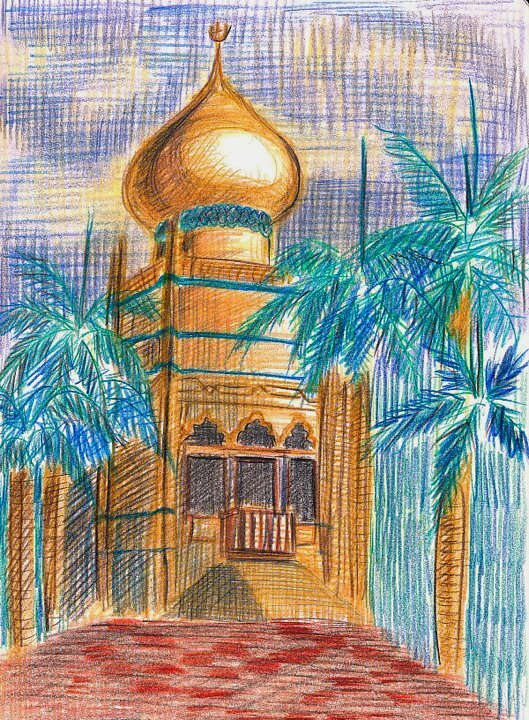 Sketch of Sultan Mosque from 2 years back. USK-Sg is very privileged to have Kian Kiean from Penang for this special sketchwalk to Kampong Glam this coming Saturday (10th Nov). They are very eager to sketch along side us. We will meet and start 9.30am at Kampong Glam's Sultan Mosque main entrance (facing Baghdad road). At 12.30pm we will gather again near the mosque for a show-and-tell session.